Large Image : Double Twisted Steel Barbed Wire Mesh For Protect Fencing , 14 Gauge Gal. Waterproof paper or the wooden box, then on pallet.,or as customer require. Packing: in coils. Pallet or depend on the request of customer . 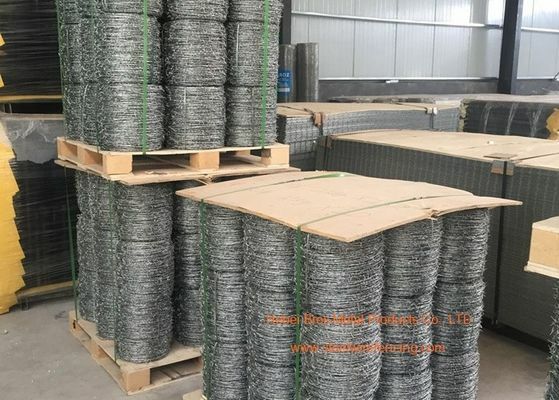 Characteristics: from swirling into a dedicated machine, which is characterized by uniform puncture line, beautiful and durable, corrosion-resistant characteristics, to facilitate construction. PVC / PE Coating thickness: 0.4mm-0.6mm; different colors or length are available at customers request. Note: the length , the diameter of the coil and the packing method can be designed according to the customers' need. 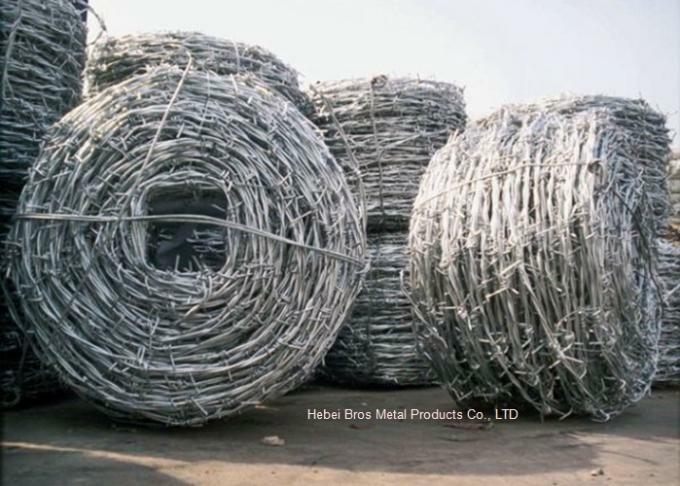 Package and deliver common barbed wire to Xingang Port of Tianjin, China. 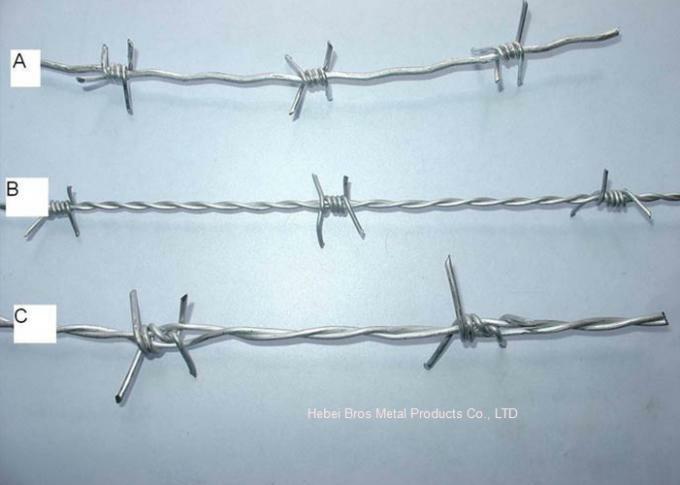 We can package common barbed wire according to your requirements. In compression rolls,waterproof paper inside,woven bag outside or in carton. 1.Animal Protection: Feed sheep, Cattle, Deer, Horse and pig. 6.Living wall, personal house, villatic wall, window, autobahn, railway and border of the fence.